From 1966 - theoretical studies of enioanatomy and eniopsychology. From 1973 - continual practice of enioanatomy and eniopsychology. He is the author of 14 published monographs dealing with the enioanatomy of human subtle bodies, 168 published scientific works, and 8 patents in the fields of medicine, human biology, pedagogy, top-level sport, and electronics mechanics. Here, it is possible to become acquainted with some scientific articles and articles about the author written by a number of magazines. The books can be ordered online or purchased at the lectures. The applications are carried out through contact, contact free, telepathically (over any distance), individually, in groups (of any size). The applications can be: developmental, educational, relaxation, regenerative, rehabilitating, reconditioning, therapeutic, harmonizing, cleansing, strengthening, correctional, complex, universal, etc., all based on the patient's condition and the purpose and circumstances of both the patient and the eniopsychologist. In 1966, docent Vasiľčuk began his studies of the theory, practice, and methodology of enioanatomy, eniopsychology, and spiritual healing followed in 1980 by a study, continual analysis, and systematization of the information on the anatomy of human subtle bodies. Between 1992 and 2002, he developed a functional anatomy of human subtle bodies. 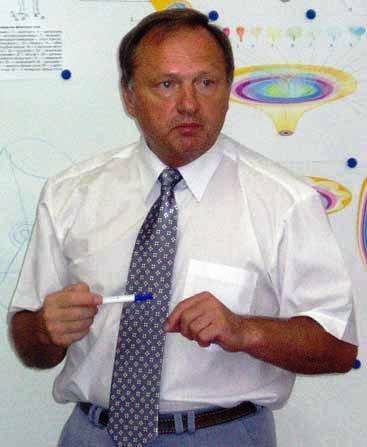 In 2003, 4 of his monographs were published by Kameňar, publishing house (Lviv, Ukraine): Functional Anatomy of Human Subtle Bodies, Functional Anatomy of Chakras, Functional Anatomy of Information-Energetic Channels of Human Subtle Bodies, and The Atlas of Functional Anatomy of Human Subtle Bodies. The Unknown Emotions monograph was published in 2006 by ERA. In 2007 and 2009 the Bilocations of Human Subtle Bodies, The Bilocation of a Human Physical Body, The Atlas of Human Bilocations, and The Enioanatomy of Human Subtle Bodies monographs, were published. Various science and popular-educational press continuously publish articles discussing the topics of eniology, enioanatomy, and eniopsychology. For those interested, a first-of-its-kind school of enioanatomy and the development of human subtle bodies has been opened in Hodonín and Prague (Czech Republic). I have had deep spiritual-emotional experiences in all phases of spiritual training, education, development, and manifestation of eniopsychological abilities: energy flowing through the physical and subtle body, attaining extra sensory perception, awareness of the existence of information-energetic fields of spiritual being, bilocation telepathy, PSI-phenomenal viewing of aura, subtle bodies, chakras, information-energetic channels, telepathic healing, projections into subtle worlds and inner structures of matter, loss of the ability to project into inner structures of matter, changes in the psychophysiological state as a result of acquiring knowledge of the subtle bodies anatomy, creation of the information-energetic basis for the development of subtle bodies, spirituality, healing, manifestation of extra sensory perception, clairvoyance, clairaudience, clairolfaction, clairsentience, successful socio-biologic activities, highest possible functional manifestation of organism in professional sportsmen, artists, and people engaged in activities under extreme conditions. The greatest joy for me is to save someone's life, to successfully cure a patient from a long serious disease, to help others feel spiritual bliss, love, happiness, joy, and understand the meaning of life. I experience the greatest disappointment when someone, after having been shown the path towards attaining harmony in life, general development, spirituality, PSI-phenomenality, healing, and optimum realization of his individuality, refuses to understand, resists, lacks discipline in achieving his potential, is passive, lazy, sarcastic, critical, and distrustful. I was pleased to perform an unprecedented telepathic development of subtle bodies, over a long distance between Lviv (Ukraine) and Prague (CZ), in people I had never seen before and who were situated in places I had not previously visited. I am happy for being aware of the presence of the Creator, the Holy Spirit, Jesus Christ, Virgin Mary, and spiritual world in my life and that I am able to see the information-energetic presence of the Creator, the Holy Spirit, Jesus Christ, and Virgin Mary in every fellow man. During spiritual information-energetic applications aimed at the development of subtle bodies, almost all participants experience extra sensory feelings, emotions, visions, their awareness attains spiritual levels, people start realizing the presence of subtle worlds and spiritual beings. Let me present you with one of many examples of spiritual experiences (of one of the séance participants): "I am feeling a great influx of energy, peace. I am leaving my body and walking across the room. I am in the middle of it looking at docent Vasiľčuk as he sits at the table with his eyes closed. There, behind him, are some subtle beings helping him in the healing process. An immense stream of energy is flowing into the room from up above. I am standing in a middle of a hall. The energy flowing into the room is white - luminescent - rainbow like. I feel good, spread my arms and receive this energy. I am bathing in it, it is very pleasant. The subtle beings walk behind the meditating people - healing them. I am starting to get curious and try to communicate with the beings. One of them comes over to me. It radiates with peace and quiet. It puts its right hand on my forehead and says: "Return to your body". I am returning. My feet are burning. I see a yellow light being slowly transformed into purple. I can see a face; it is the face of Jesus." Study yourselves and you will come to know the world. Study the enioanatomy of human subtle bodies and you will begin to understand your microcosm as well as the Cosmos, the unity of organic, inorganic, information-energetic, and spiritual substances of human, earthly, cosmic, and spiritual origin of the past, present and future, the unity of microcosm and macrocosm and that man is manifested through the unity of past, present and future. You will come to know that human life is eternal; only the physical body and a few human subtle bodies are impermanent. If you begin to study the enioanatomy of human subtle bodies, you will be able to quickly attain a general development of spirituality, PSI-phenomenality, harmony in life, wisdom, and divine-spiritual self-realization, life free of pain, suffering, disease, and crisis. May you be bestowed with divine light, love, joy, enthusiasm, and God's blessing in your eternal life. Participates in the design and graphic layout of the website, and cooperates with docent Vasiľčuk in stylization, language and text editing, ensuring a factual accuracy of the terminology. Additional detailed information is not presented here due to ethical reasons; it might be perceived as excessive advertising.